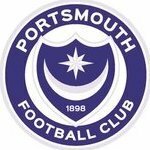 So I'm taking up a new challenge from my usual Leicester City save and trying to restore Portsmouth to former glory. But two promotions in a row have shown Fratton Park to be woefully inadequate as a venue and despite it's old fashioned charm (IRL I remember the open terrace at the away end and dodging the local lunatics on the way back to the station) Pompey could do with a new ground. But the board has little money and I don't expect them to splash out any time soon. But before I click "buy"
1.Will the stadium be available immediately or will there be a build time? 2. Will I have an option to name or rename the stadium? 3.Will the costs for building the stadium have to be financed by the club or is it "free"? There is a build time. Thanks for the quick reply. Is there a risk that this could bankrupt a club in a perilous financial position, or at least restrict future transfer funds? On the brink of taking Pompey back into the Premier League in four seasons on my FMT save, top of the Championship with 4 games remaining, Looking extremely good! Think a new stadium will have to now be considered!!! ? I have a Pompey save too and in 2028 with a maxed out Fratton Park (36,000 35,924 seats), and the board continuously rejects new stadium request for the past 7 seasons which has nearly bankrupted me twice. Currently have over £100 million and still nothing, is this a bug or part of the game mechanics?